British electric car manufacturing start-up Bee has unveiled the first details on its plans to design and produce an affordable 'leccy car to take advantage of the government's recently announced support for eco-friendly motoring in the coming years. 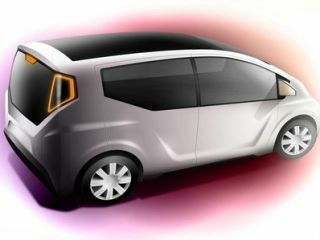 The Bee.One is set to be a five-door compact vehicle with a top speed of 80 miles per hour, a fully-charged range of 200 miles and an (impressively-sounding) constant 3G connection for system management and updates. At a suggested price-point of £12,000 once the production line starts rumbling into life at some point in 2011, the Bee.One is going to be one to keep our eyes on over the coming year. Whether or not that price could, in reality be even lower should the Labour governments promised electric car subsidies ever see the light of day is another matter entirely. Bee boss Stephen Voller told Reg Hardware that the government subsidy was the "tipping point" that will make electric cars "a genuinely attractive mass-market proposition." Apparently the One's dual motor system "will be unique and does away with the need for a heavy and expensive differential" according to Reg Hardware. The car will be fully iPhone and BlackBerry friendly, we are promised, with 12,000 planned for the original production run. Bee is also prepping a faster, sexier two-seat roadster called the Bee.Four that it claims will hit 60mph in under three seconds, and an electric F1-style hill climb racer, the BRM Bee Four ERV with a promised top speed of 250mph. Lots of claims, promises and hopes here, of course. TechRadar hopes these dreams are turned into facts and real-world affordable electric cars at some point in 2011. For more check out beeautomobiles.com.